If you're looking for an old agricultural tool and want to use it for high parts The price is cheap and the size is perfect and I use it without any problem. In terms of strength, I do not know yet, but I think it is okay. This review is about item#6960642. 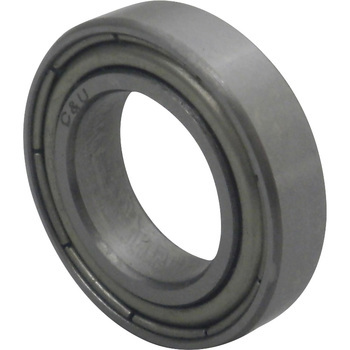 We are satisfied with cheap and comfortable drive by bearing exchange. This review is about item#09445134. I purchased to replace it from a Chinese-made bearing, but the standard-made Chinese-made bearing turns better and there is no point in replacing it. This review is about item#9445116. Used for water turbine bearings. There is no improvement. Osaka Soul is cheap and good because it is good. This review is about item#9445125. At our factory we use it at high speed rotation of 24000 rpm, but rotation stops in 2 to 3 months for 1 digit in 20 days. Individual packaging is inconvenient. A considerable number is purchased and it is used, but I can trust without trouble I think that it is a product It is polite for individual packaging and product handling I understand well. This review is about item#9445134. I used it for repairing a grain dryer that was submerged in west Japan heavy rain. I am cheap and I am grateful. Especially without discomfort, I was able to install on the pulley. This review is about item#09445125. The price is cheap at half price compared with the manufacturer's product, there is also week special price and it is considerably affordable considering the cost considerably. Although the price is cheap, it is demonstrating the necessary and sufficient ability at the right place. This review is about item#06960642. Used for power tool maintenance. Grinders, rotating parts maintenance of the drill. After replacement the rotation of the tool was able to power up. It was a good size, it is cheaper than buying at a home center. This review is about item#37566575. There is no problem for low speed rotation. We only use about 30 times of use. In a word I will not buy it again. In addition to poor accuracy, there are things that will be useless in one use in durability. I think that it is inferior to other companies' products and very cost performance is high. Pulley bearing exchange. It is durable and quiet. It is cheap and saved. This review is about item#6960651. Despite its easy-to-ask price, I have the accuracy I request and I would like to use it again. Durability is unknown because it is used for the bearings of routers, operation time is 4 and 5 hours. Currently, it works well.